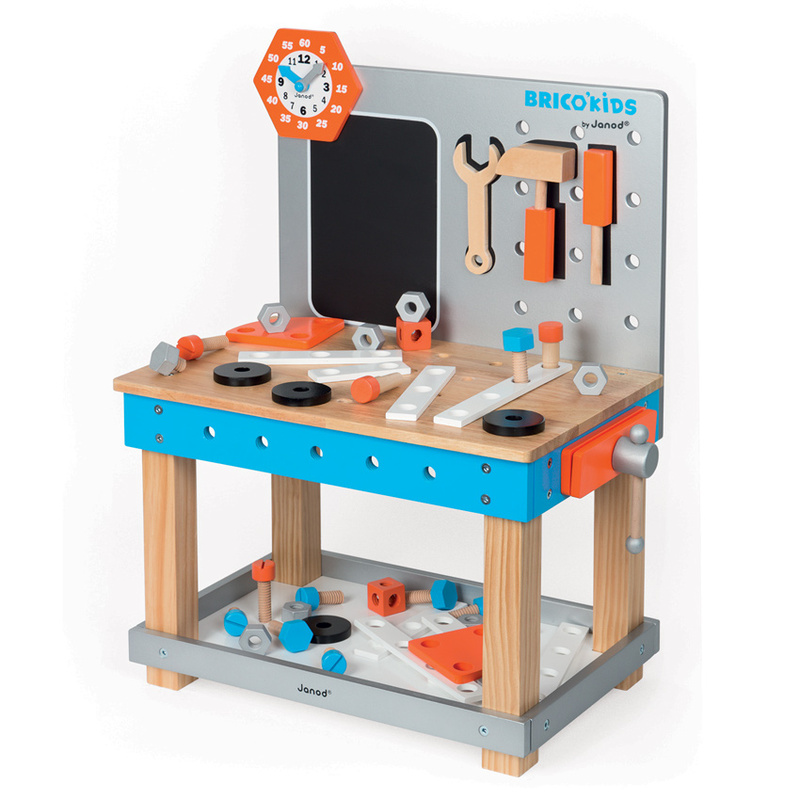 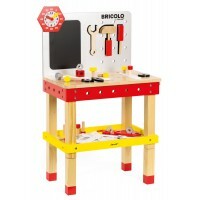 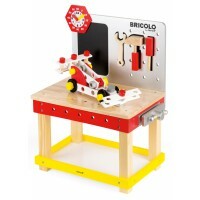 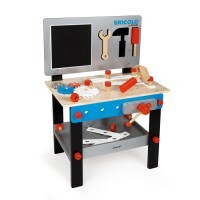 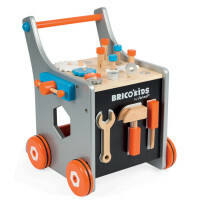 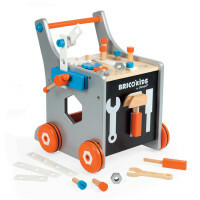 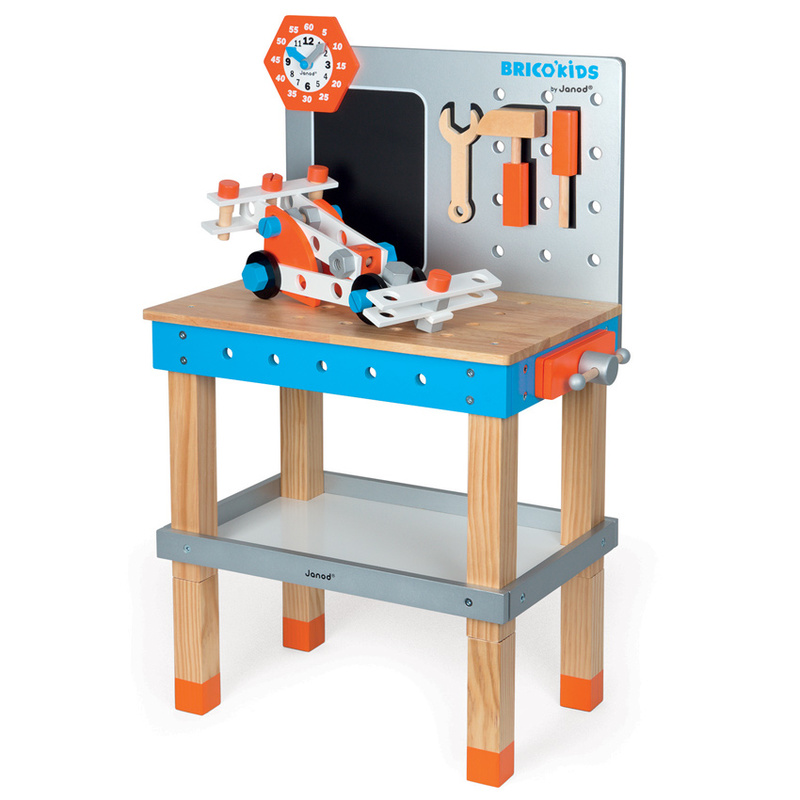 Little carpenters everywhere will be able to build their very own creations with the Brico Kids Giant Magnetic Workbench. 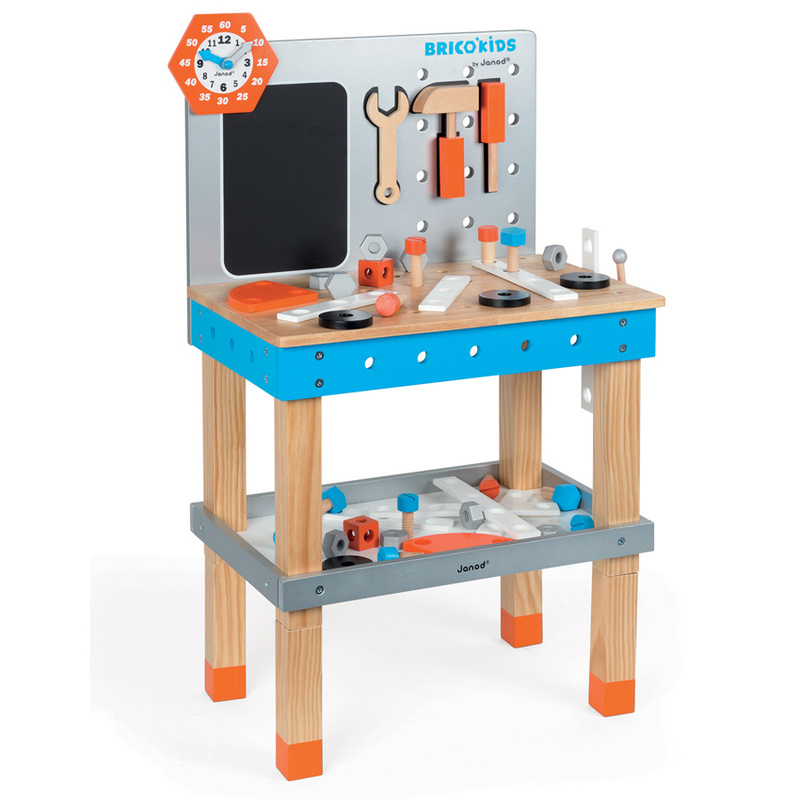 Made from wood, the workbench is height adjustable with removable feet for even the littlest builders to have a go. 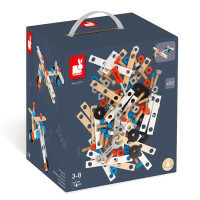 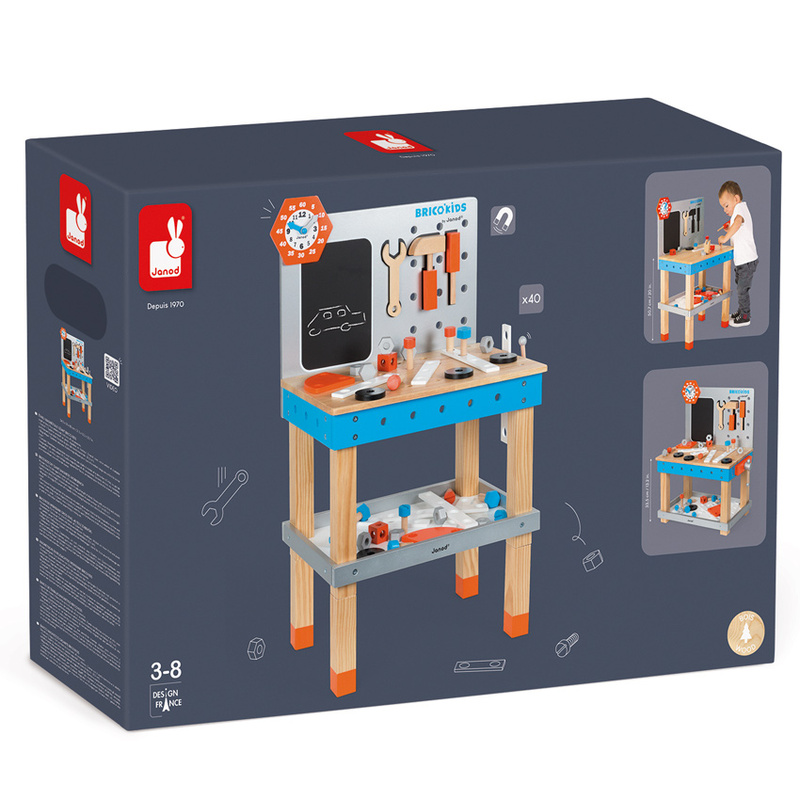 It comes complete with 40 accessories including a hammer, spanner and screwdriver plus a vice, chalkboard and clock with movable hands that has five minute increments, as well as 1-12 to help learn the time. 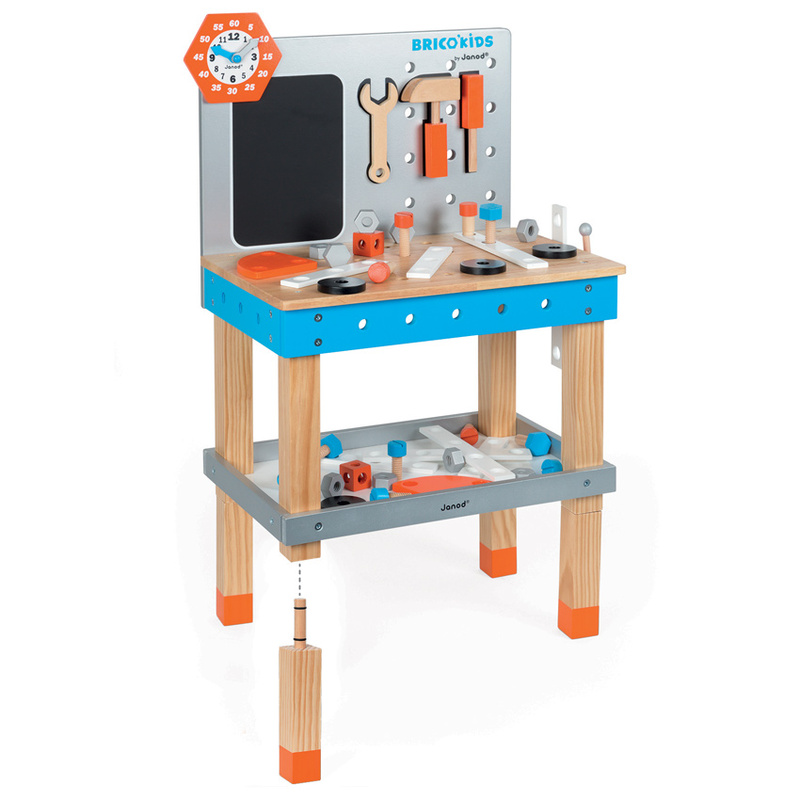 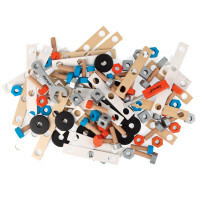 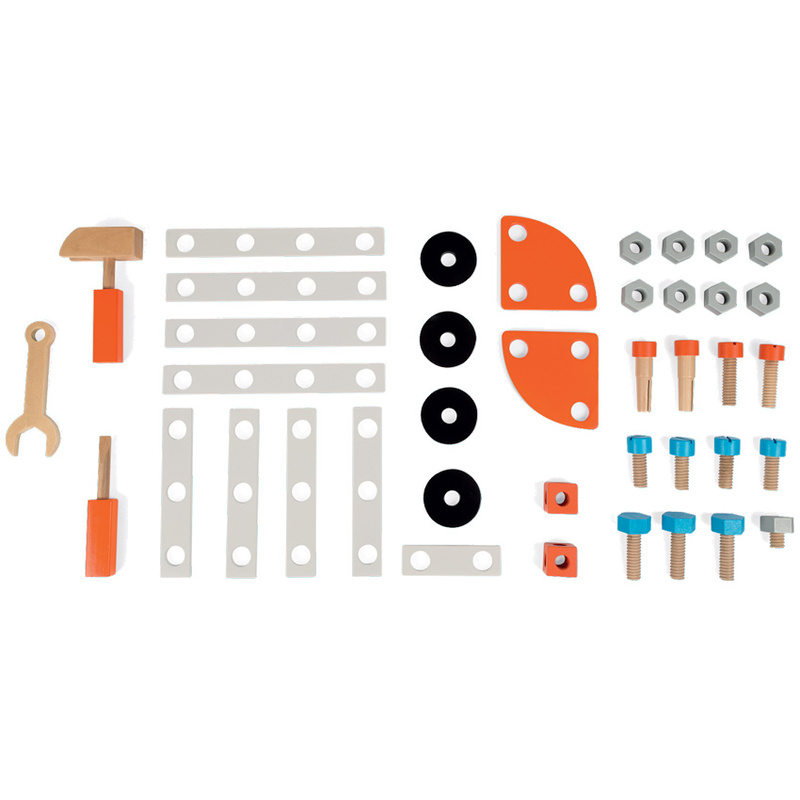 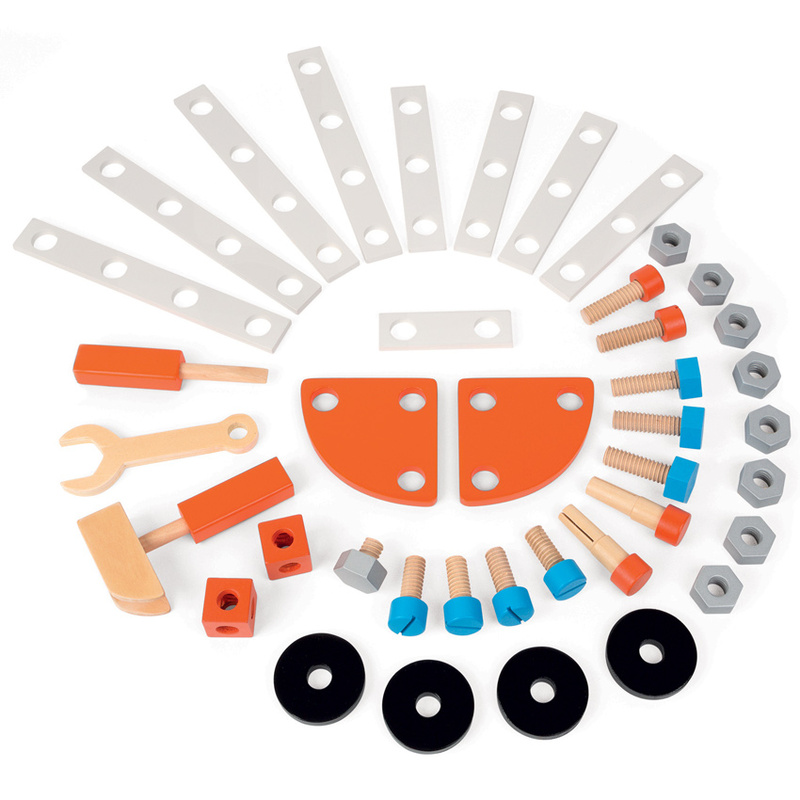 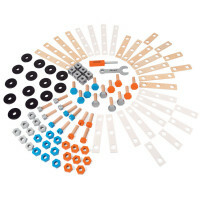 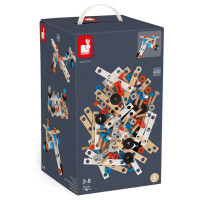 The tools attach to the backboard magnetically and there are planks, washers, screws and bolts to use on the benchtop or to build your own creation. 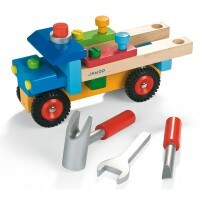 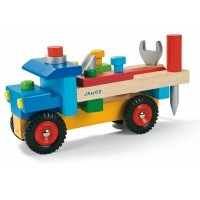 A great starting point for the Janod Brico range of toys.